Thirty states and the District of Columbia will receive nearly $9 million in grants to support work that could retool their exchanges in light of looser regulations. The money stems from unspent funding available under the Affordable Care Act. On Monday, the CMS outlined potential use of the funds—two-year grants ranging between $225,000 and $290,000 each—and emphasized market and economic studies for leveraging the Trump administration's guidance and regulations to expand individual market options. The agency also suggested states could use the money to analyze whether exchange enrollees get adequate access to mental health and addiction treatment, particularly for opioids. Under ACA statute, states need to funnel their grants toward measures that will guarantee availability and renewability of insurance coverage and promote non-discrimination through essential health benefits. An agency spokesperson said the funds will let states take "innovative measures that support the pre-selected market reforms" outlined for the Obamacare grants. CMS Administrator Seema Verma in a statement stressed that states can use the money to tune the markets in their own way. 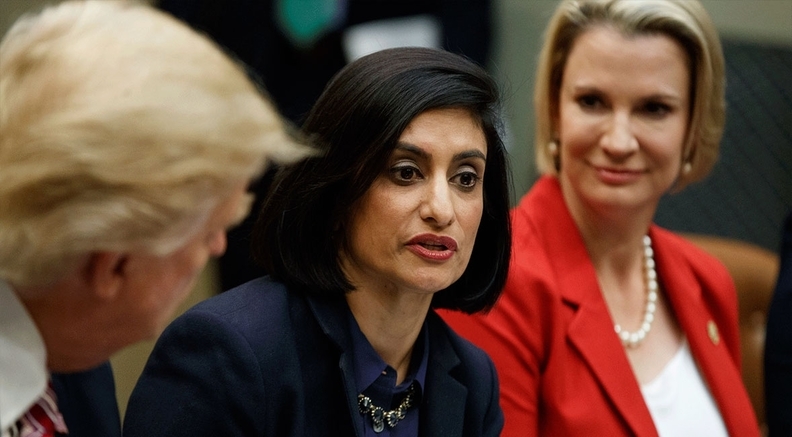 "These grants make yet another down payment on our work to enhance states' ability to stabilize and improve their respective health insurance markets," Verma said. In October 2016, the Obama administration's CMS applied unspent money on enforcement of federal insurance regulations and consumer protections, according to the CMS.